Cafe open from 6.30pm, doors 7pm, gig starts 7.30pm. Jon Swayne and Becky Price began playing together over ten years ago. They quickly discovered a close musical rapport which led to two threads of musical exploration – the rich repertoire of English dance music from the 17th and 18th centuries and the writing of new tunes for traditional dances from central France. Jon combines pipe-making with performance and composition. A founder member of Blowzabella, he also created the bagpipe trio Moebius and the seven-piece bagpipe band Zephyrus. Becky founded French dance trio Finality Jack in the 1990s and Boldwood in 2003 and has worked with fiddle player Dave Shepherd, hurdy-gurdy player Nigel Eaton and accordion trio Hell Said the Duchess (with Karen Tweed and Hannah James). She is a regular guest tutor for the National Youth Folk Ensemble. 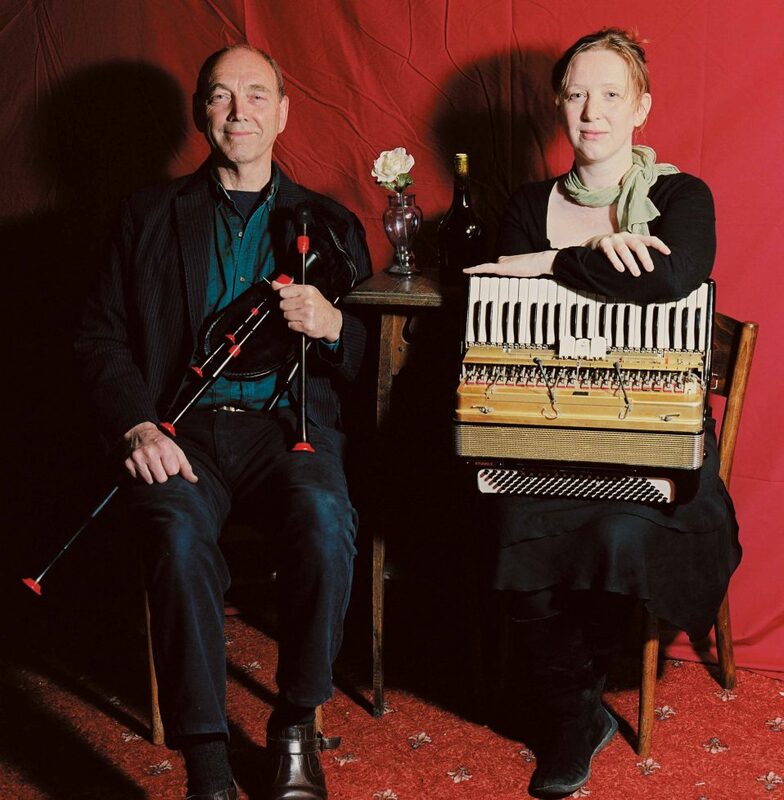 Jon and Becky present a highly varied programme of English dances, airs and song-tunes of the last 400 years, alongside dance tunes of Jon’s, many of which have become classics of the genre.